Christmas bells are ringing, and so is your décor – for some jolly decorations for the big day. Stuck for something for the mantelpiece? Try a reindeer, angel candle, star light or wall decal. Is your Christmas table looking a bit unloved? Gather around the wreaths and candles to make a dinner table display worth sitting down to. 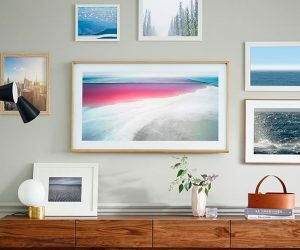 From toilet seat huggers, to LED-lit Christmas and birch trees, cutlery holders, tree baubles and bedding sets, our list will have your festive season covered. Sit down with a cup of warm cocoa and read our top fifty picks, to see if you can add some cheer and sparkle to your family homestead this Christmas. 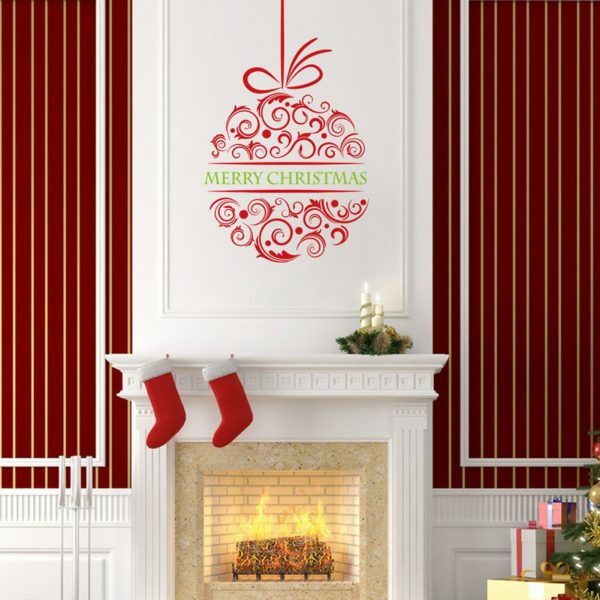 Removable Christmas-Themed Vinyl Wall Stickers: Drench your mantelpiece in Christmas cheer with these vinyl wall stickers, easy to remove and full of joyful welcome. 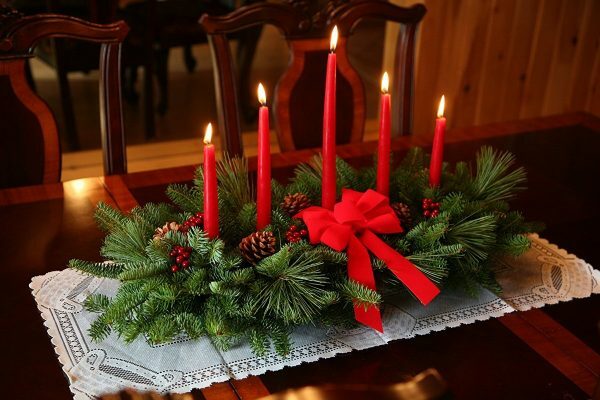 Christmas Centerpiece With Candles: Light up the table with a wreath bright with candles and real pinecones. Here are more options for decorative candles. Christmas Birdhouse Centerpiece: Welcome in the red robins with this birdhouse centrepiece, designed for nature lovers. Feather Christmas Trees Accent: Create a luxurious vibe with these feathered, snowy Christmas trees, a warm feature for an entrance table. 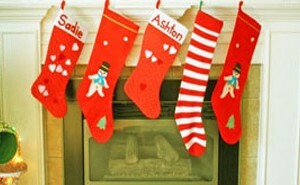 Christmas Stockings: Frosty the Snowman and Santa Claus love to bring in goodies to these festive stockings. Christmas Wreath With LED: Standard Christmas lights not making the cut? Get jolly with an LED-lit Christmas wreath for your front door. 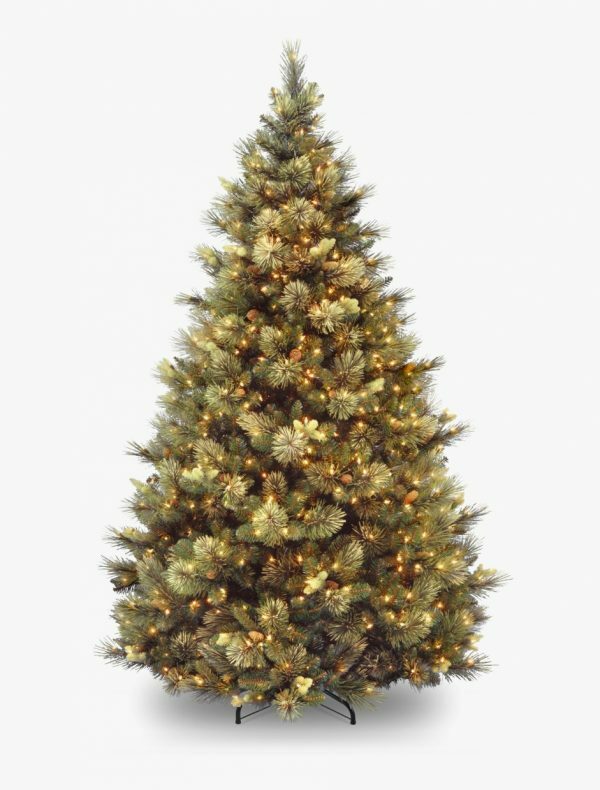 Prelit Artificial Christmas Tree (Spruce): Not everyone spends hours decorating the tree. Get yours pre-decorated with this 7.5-meter beauty. 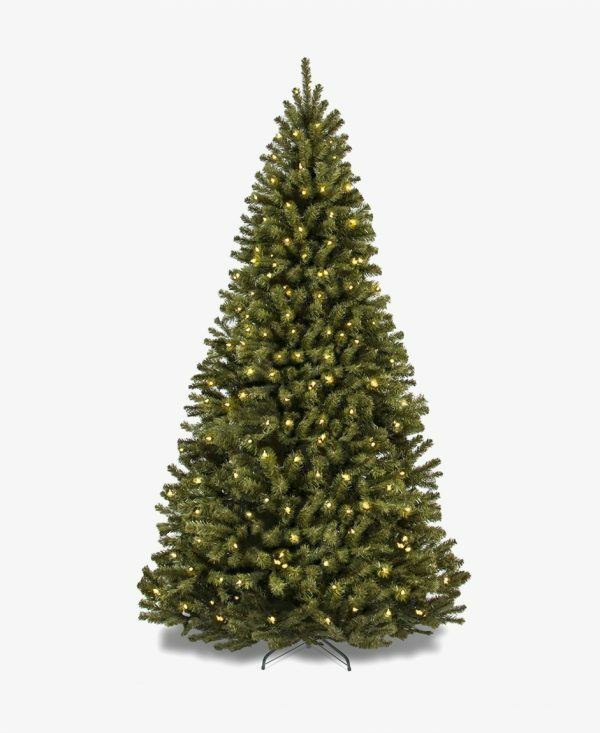 Prelit Artificial Christmas Tree (Pine): Available in two sizes, this Carolina pine is another pre-lit addition to the busy household. 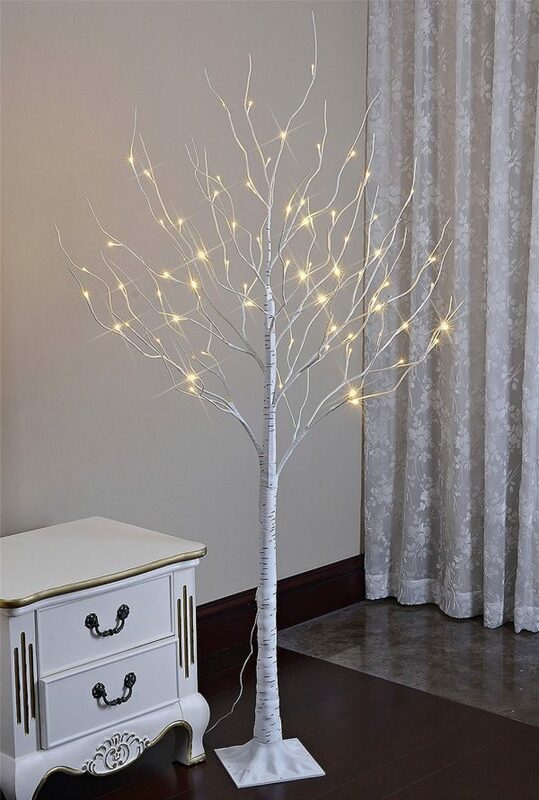 Lighted Birch Tree: Celebrate the festive season with a beautiful lit birch for beside the dresser. 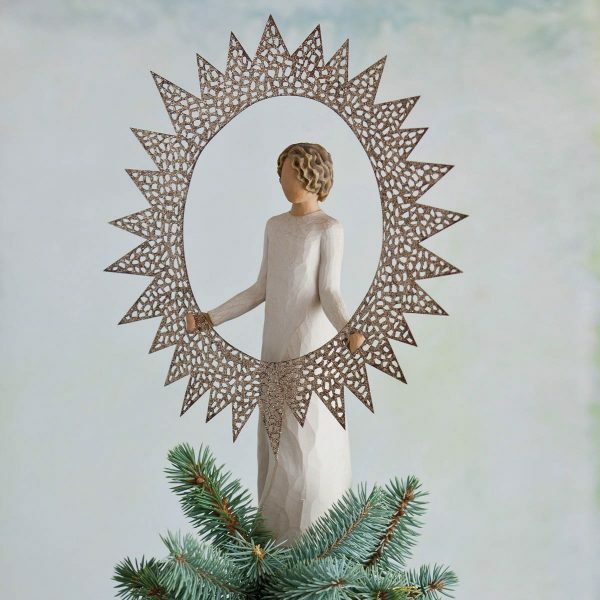 Angel Tree Topper: Make your Christmas tree an object of envy with this hand-made, glitter-encrusted angel above its branches. 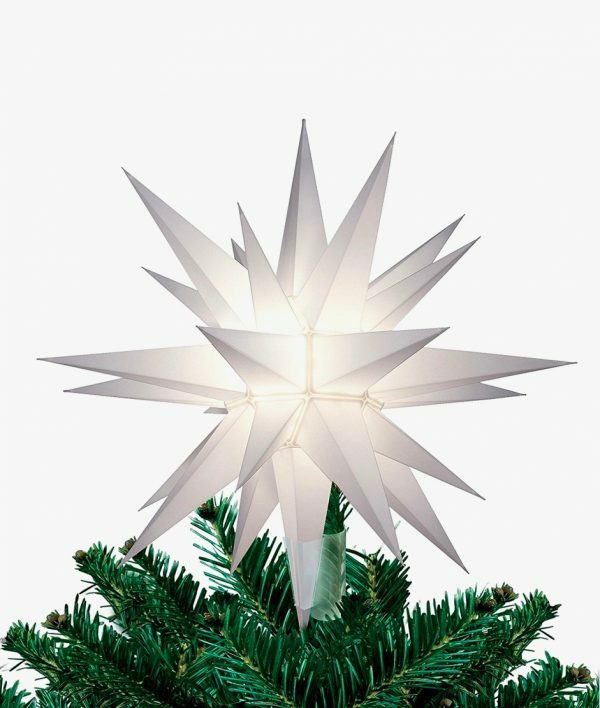 Moravian Star Christmas Tree Topper: A handy porch light or tree topper, this Moravian star shows Santa to the milk and cookies. 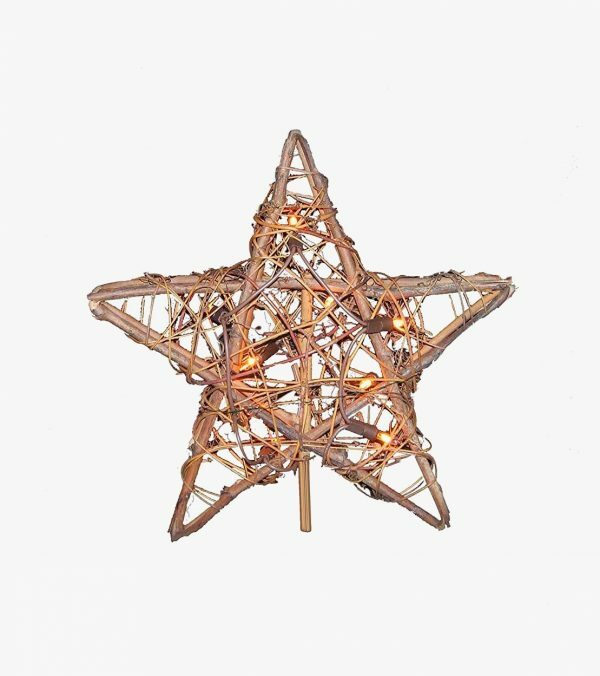 Rattan Natural Star Treetop: Match your interior’s more rustic feel with this rattan star atop the tree. 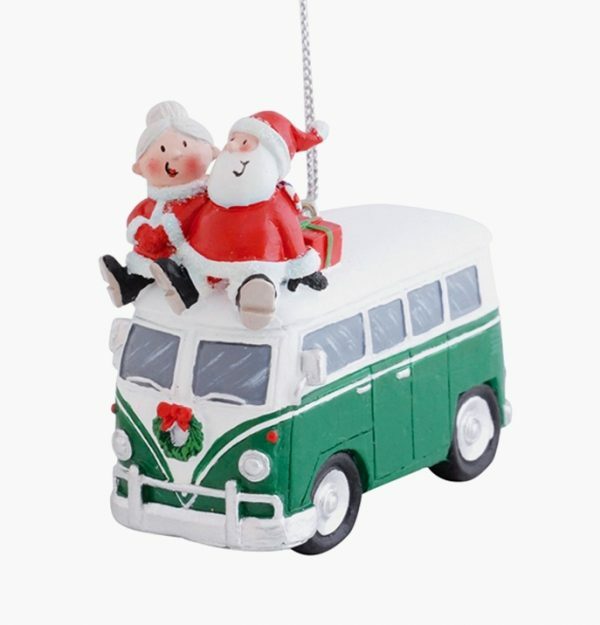 Mr & Mrs Santa Claus VW Bus Christmas Ornament: The Claus’ go hippy aboard this combi van ornament for the mantelpiece. 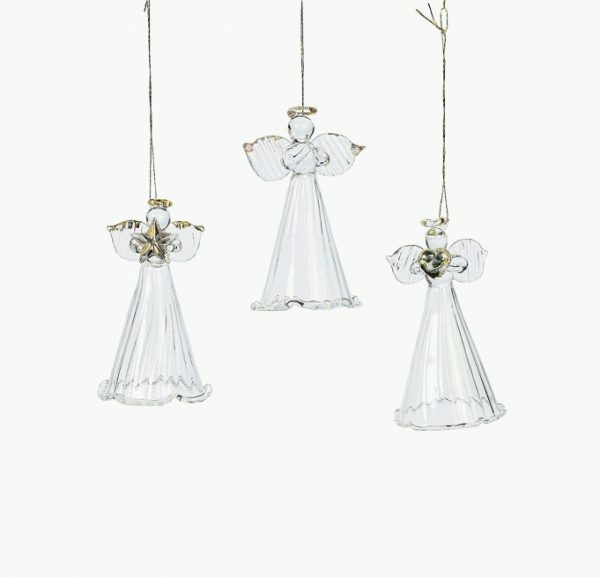 Glass Angel Ornaments: Let glass angels swing between the fronds of your family’s Christmas tree. 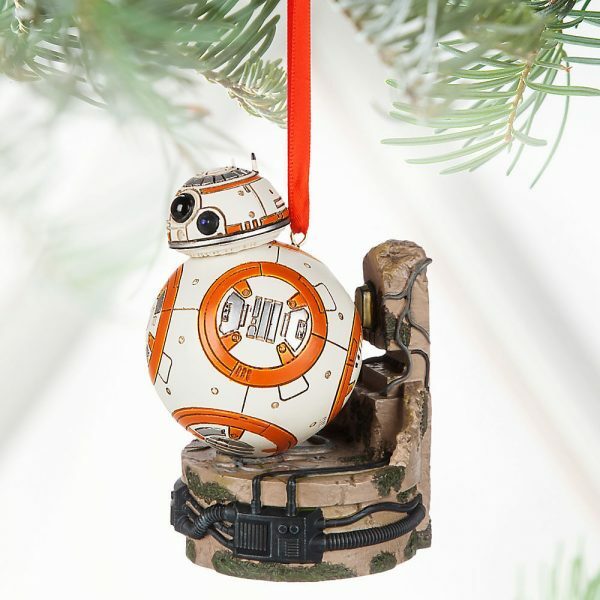 Star Wars Christmas Ornaments: Love watching Star Wars beside the fire? Let the decorations chime in with these baubles based on the classic. 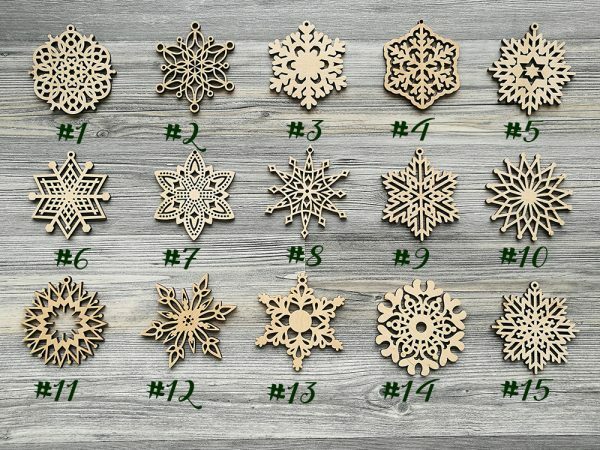 Wooden Snowflake Ornaments: Tie these snowflakes to your tree, beside your doorbell or on your Christmas table for added joy to the season. Christmas Snow Owl Figurines: Cute, fluffy and oh-so-wise, these figurines make a nice fit for your Christmas tree. Rustic Hand Carved Owl: Another wise owl carves its way in wood, an interesting find for lovers of owl home décor. Cute Wooden Animal Figurines: Want wooden blocks that go beyond the brief? These animal figurines create a zoo beside the fire. Quirky Reindeer Statues: Hand-crafted with glittering noses, hooves and spots, these reindeer add a different jingle to the Christmas kitchen. 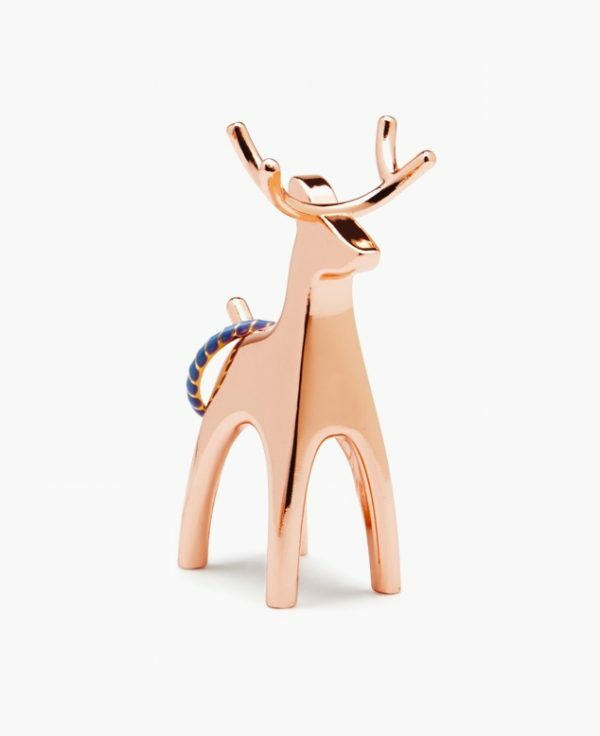 Reindeer Ring Holder: Get a rose-gold reindeer to hold your wedding ring during Christmas wash-up time. Freestanding Christmas Star Shaped Marquee Letter Light: These battery-powered stars light up the kids’ letters to Santa. 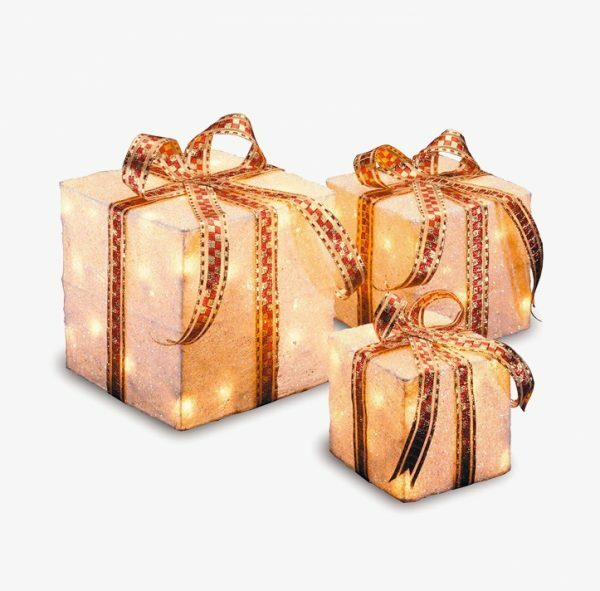 Lighted Gift Box Decor: Light the path to the tree with these lit gifts on Christmas morning. 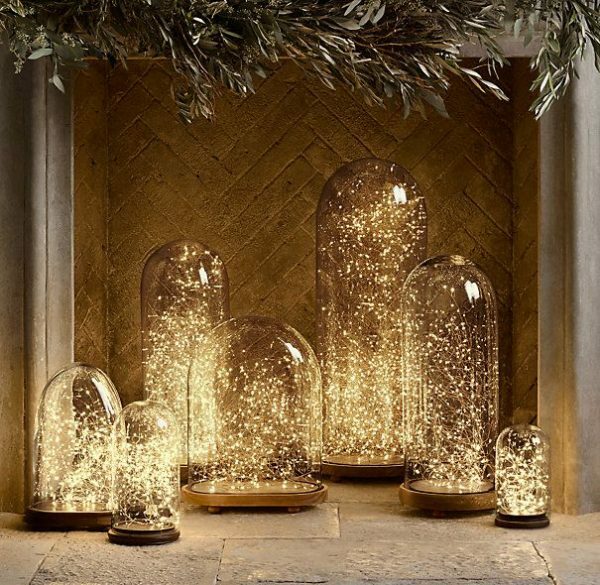 Display Domes: Available in a range of shapes and sizes, these glass domes can house fairy lights for a festive wow factor. 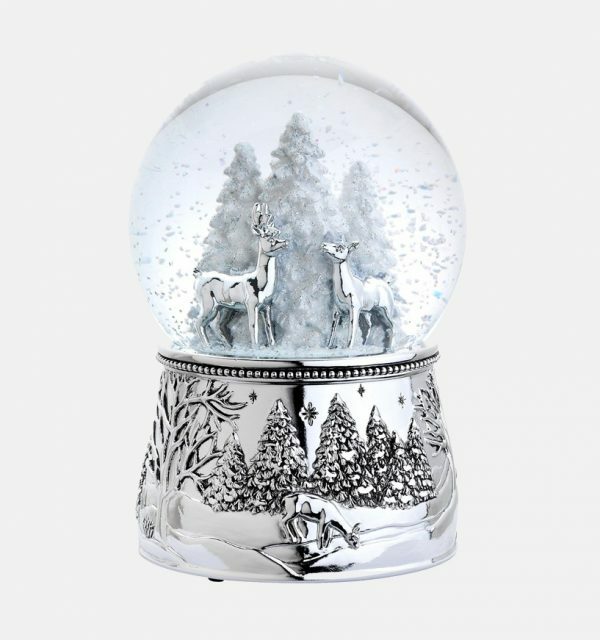 Winter Scene Musical Snow Globe: “Silent Night” streams out of these musical snow globes, a pretty picture for a Christmas-mad child. 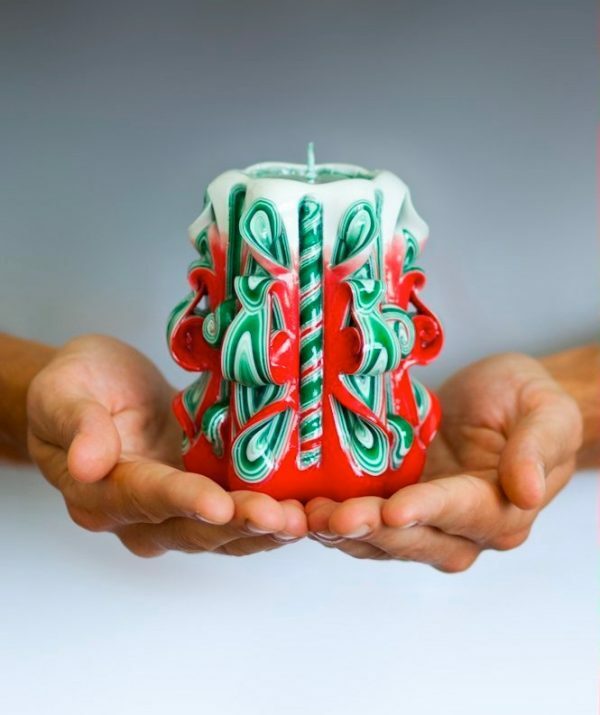 Hand-Carved Christmas Candles: Glowing in red and green candy-canes, this candle gets taste-buds tingling at the dinner table. 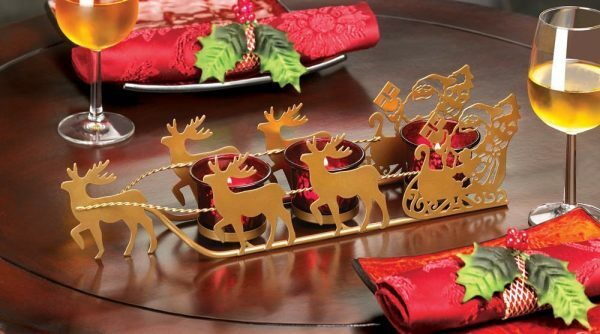 Reindeer Sleigh Candle Holder: Use up your old tealights as these golden reindeer ride their sleigh. 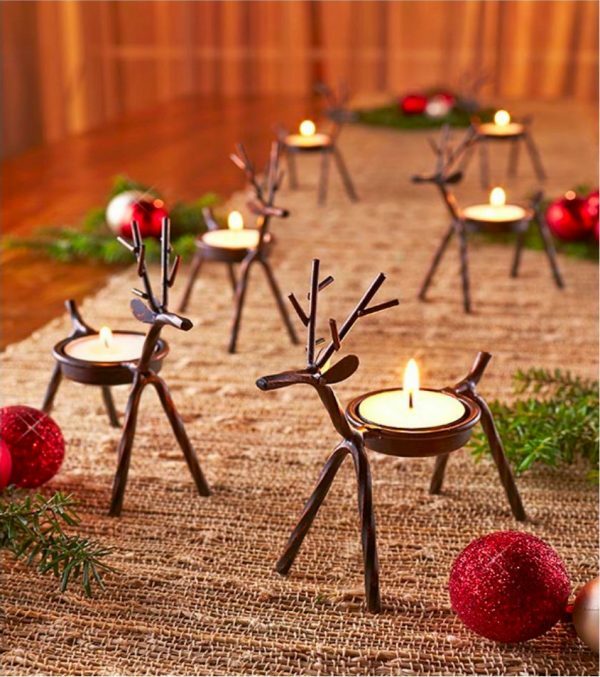 Cute Reindeer Metal Candle Holders: Dot reindeer amongst the feast with these cute tealight holders for the Christmas table. 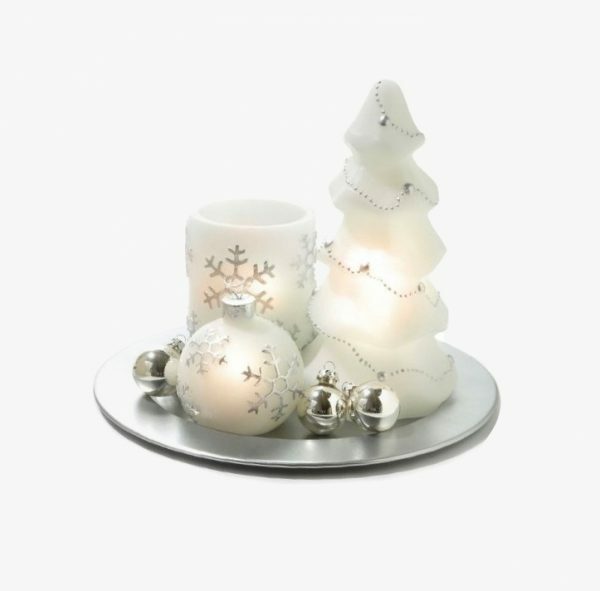 Christmas Votive Candle Holder: A Christmas tree lights up this red-hued find, a winner among the most inspirational tea-light holders. 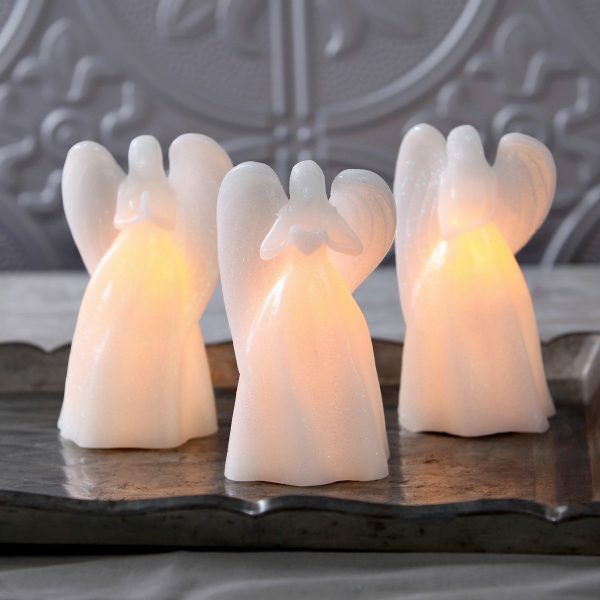 Flameless LED Wax Fairy Candles: Worried about a fire hazard? These LED-lit fairies glow from the inside – without a flame. 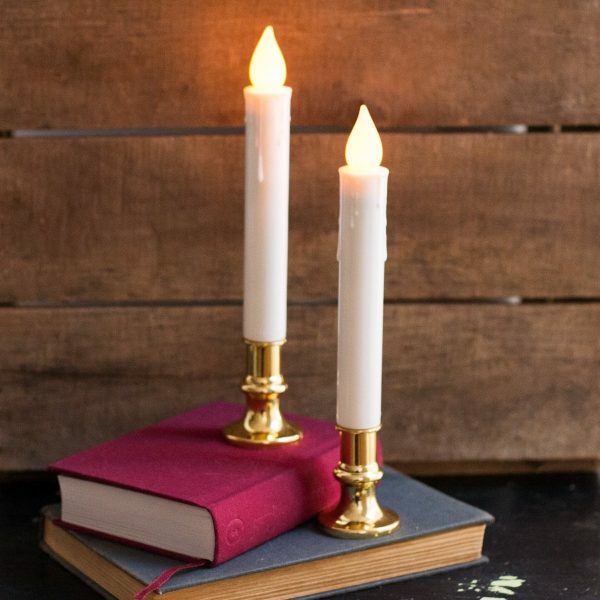 Flameless LED Candles: Tell bedside stories with these candles that won’t catch aflame. 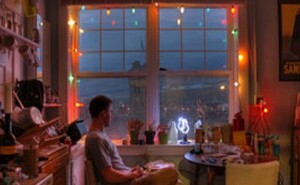 Flameless LED Christmas Ornament Candles: Give your loved one the royal treatment, with a coffee surrounded by Christmas lights. 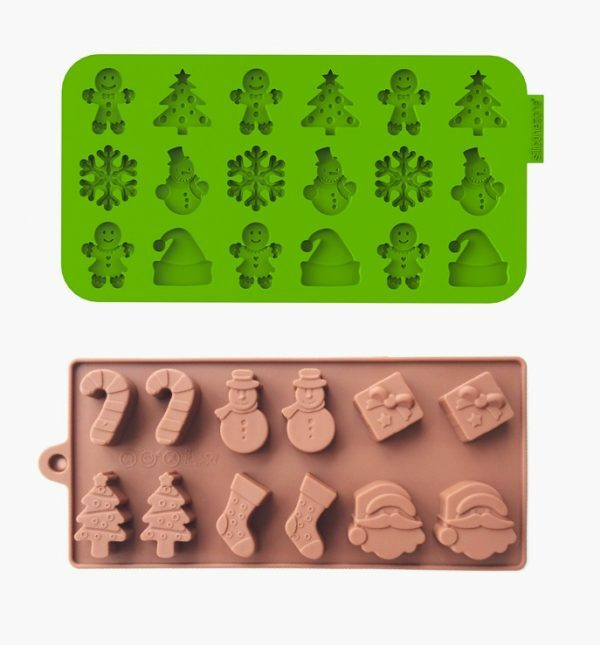 Christmas Chocolate Molds: Make homemade goodies with these chocolate molds, a nifty trick for impressing visitors. 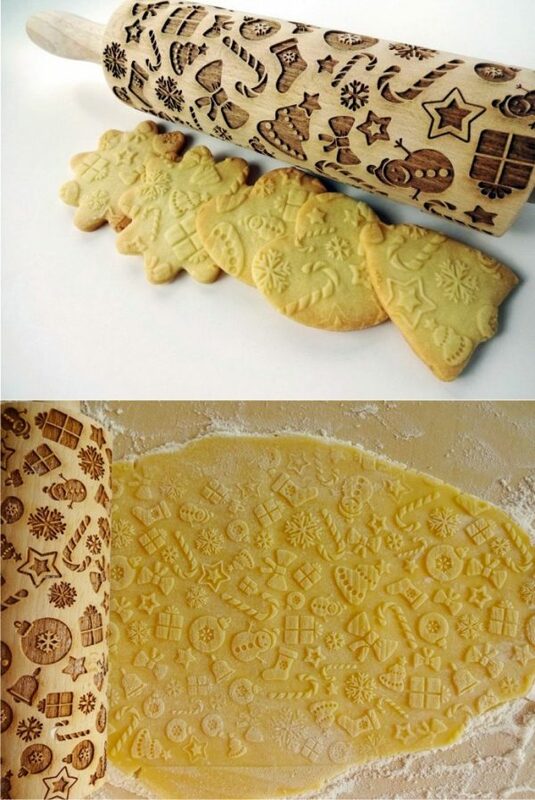 Christmas Symbols Rolling Pin: Deck the cookies with presents, candy canes and snowmen as this rolling pin glides over their form. 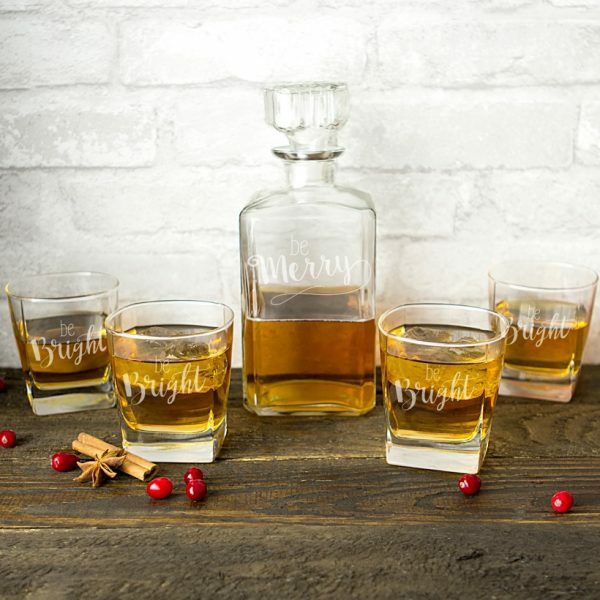 Be Merry Decanter Drinkware Set: Get out the sherry for a merry Christmas toast from a glass decanter. 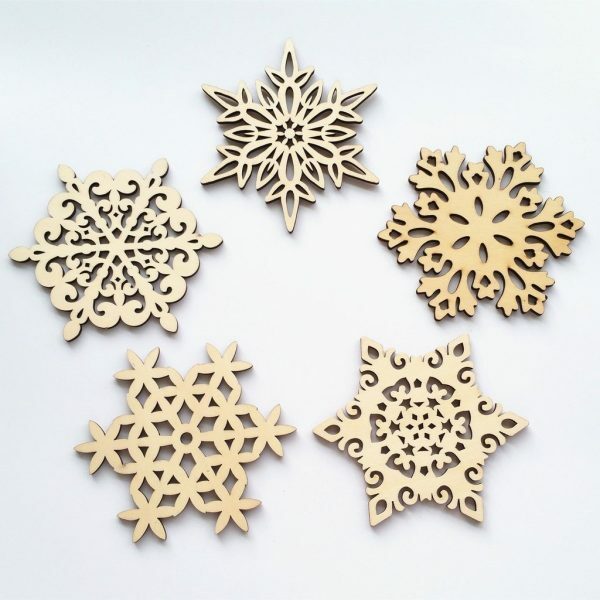 Snowflakes Coasters: Christmas patterns lurk under cups in these cut-out designs for the kitchen table. Christmas Themed Plate: Make the Christmas ham just that little bit merrier with Santa and his reindeer to keep it company. 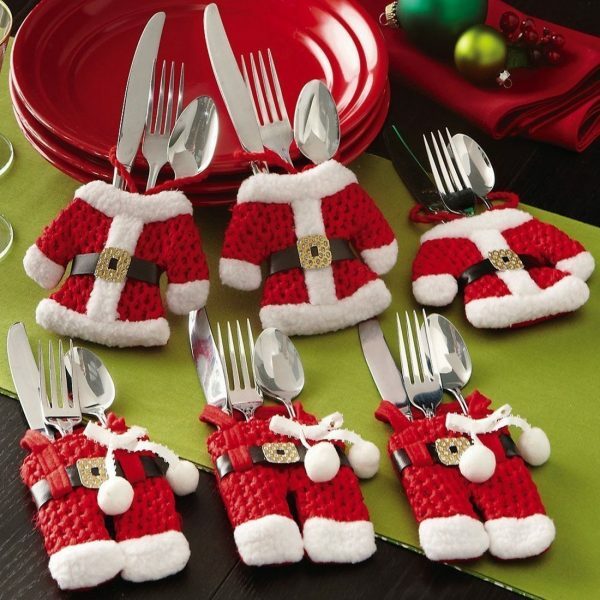 Santa Suit Christmas Silverware Holder Pockets: Rug up your cutlery in these cute Santa outfits for the dinner table. 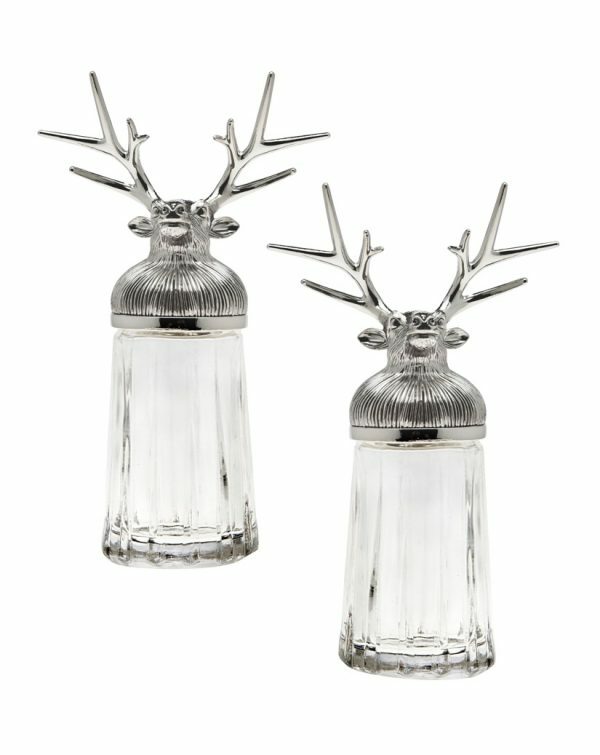 Reindeer Salt & Pepper Shakers: Shake up the pantry staples with these unique salt and pepper holders for seasonal ham. 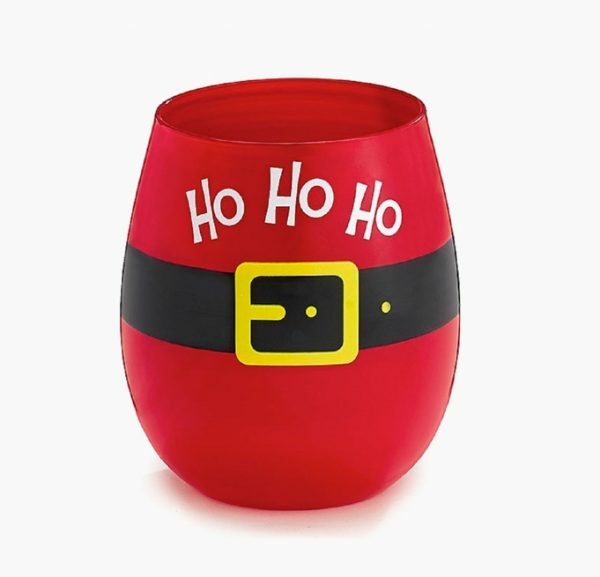 Stemless Santa Wine Glass: Combine a timeless shape with a Santa design for a unique wine glass this Christmas. 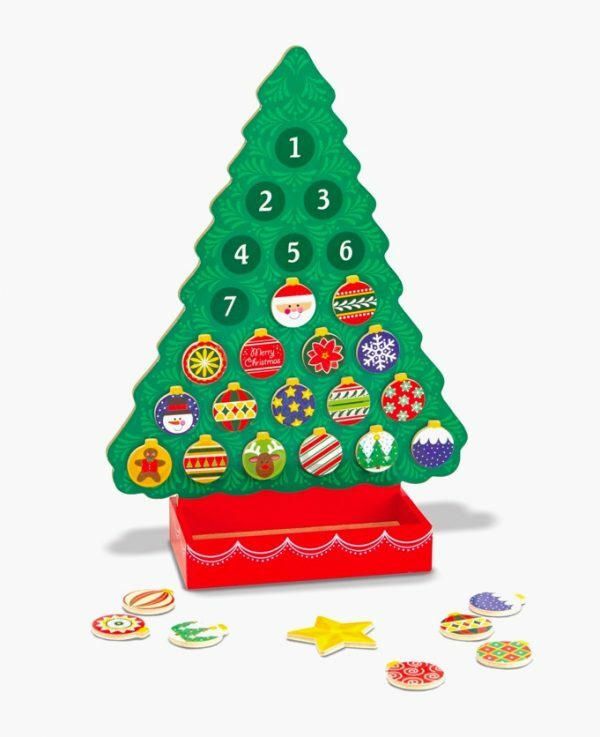 Countdown Christmas Tree Calendar: Get the kids excited with a wooden advent calendar and magnetic decorations. 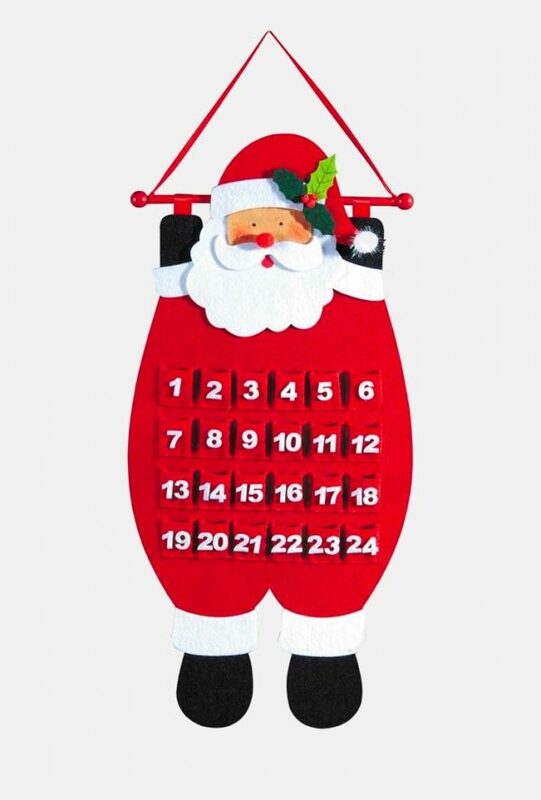 Hanging Santa Christmas Advent Calendar: Hang Santa in the bedroom for the countdown to Christmas. Numbered pockets let each day hold a little surprise. 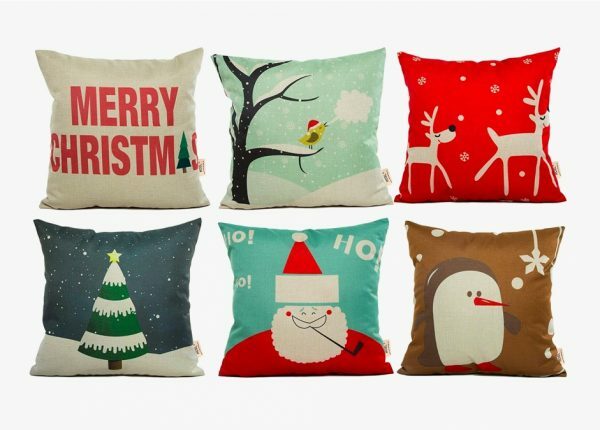 Cute Christmas Themed Throw Pillows: Spice up the couch with these easy-to-display (and-put-away) Christmas cushions. Red Christmas Themed Pillows: Let it snow in red themed cushions, a perfect way to stack up a soft area. 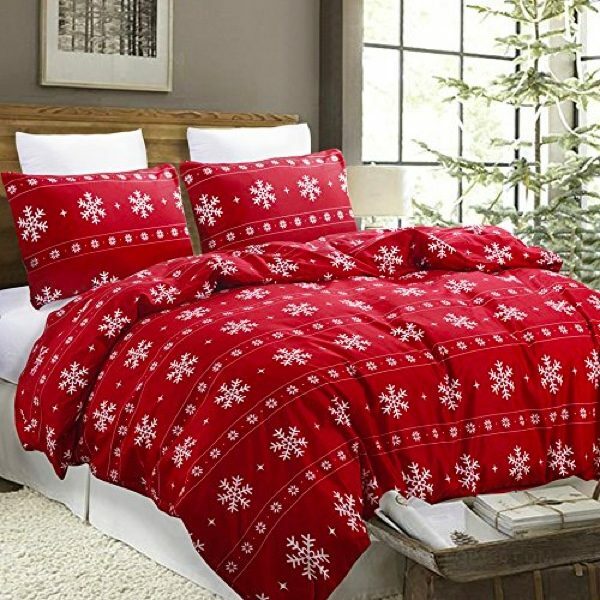 Christmas Themed Duvet Cover Set: Live and breathe the season with a snowflake-covered duvet set for the winter months. 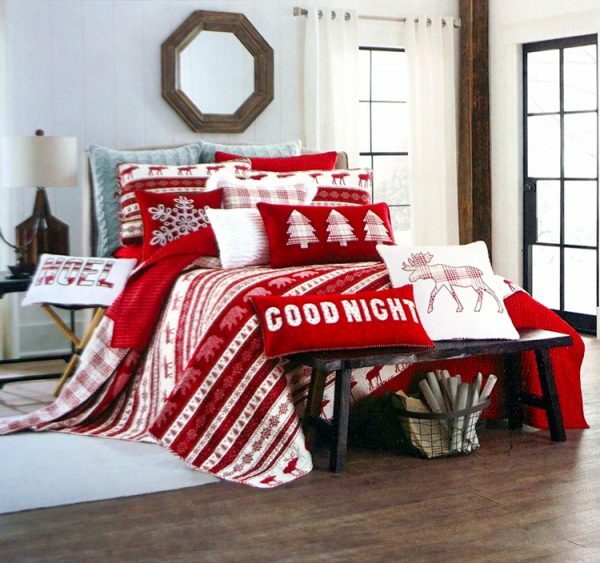 Christmas-Themed Queen Quilt Set: Clothe your bed in different Christmas patterns, with this two-sided cover set. Choose from either red-and-white plaid or Scandinavian reindeer, bears and a moose each day of the season. 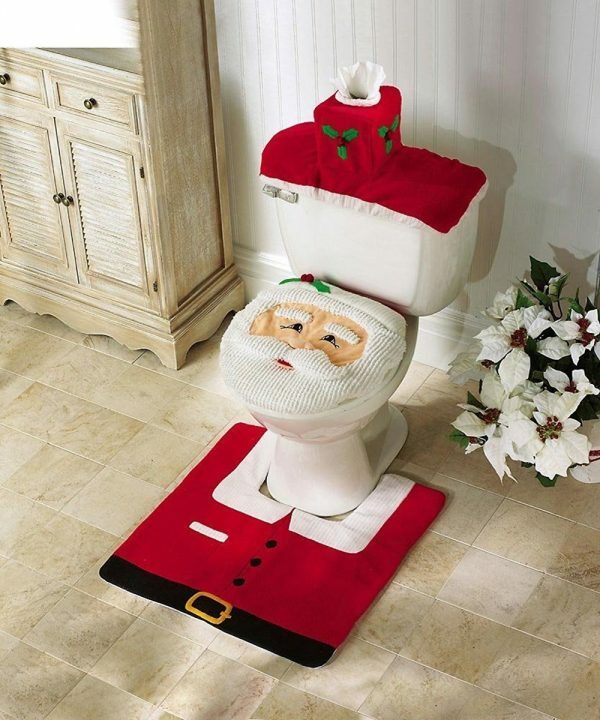 Mini-Gift Santa Toilet Seat Cover and Rug Set: Make the toilet more festive with Santa adorning its rug and seat. 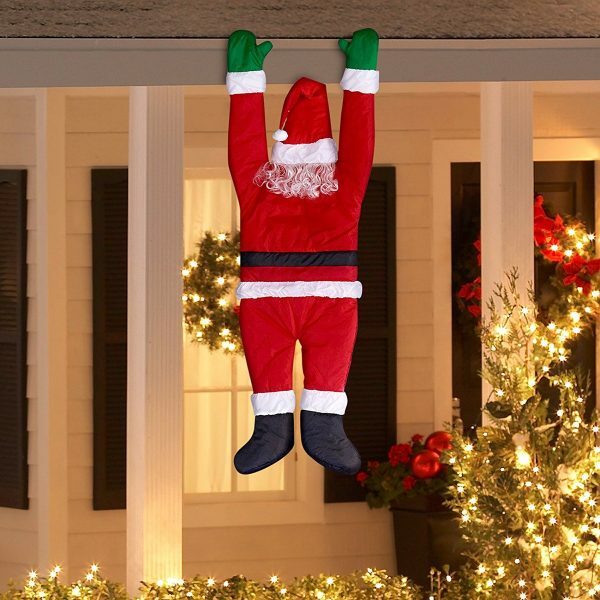 Hanging Santa Outdoor Decor: Give a taste of what’s to come as Santa hangs outside the doorway. Outdoor Deer Lights: Celebrate the season in style, as these deer prance around your snow-covered front lawn. 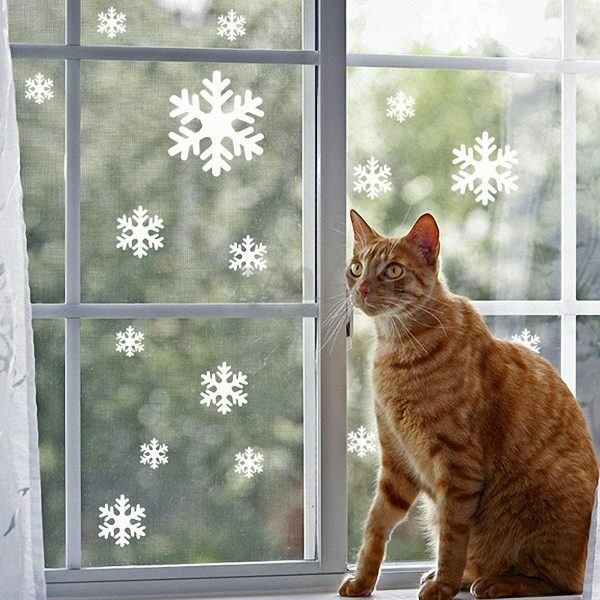 Snowflake Window Christmas Decoration: Bring Christmas cheer to your home or workplace with these window-bound snowflakes.